It’s going to be a cold winter, you guys better bundle up! It is already snowing in the NYC/NJ area. R&B singer Keyshia Cole is keeping herself warm during these cold days. The Multi-platinum Oakland-native was photo’d in a $998 Rebecca Minkoff ‘Venus’ Genuine Shearling Collar Jacket. 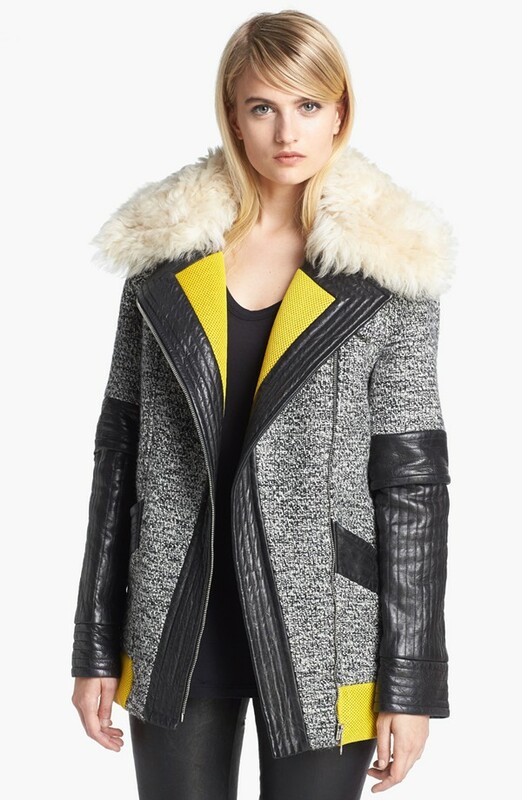 This coat features a mixed-media stunner in techno tweed with line-quilted leather sleeves, a luxe shearling collar and endless edgy glamour. You can purchase it at Rebecca Minkoff. KC moved back to Los Angeles and she is currently in the studio working on her forthcoming LP. 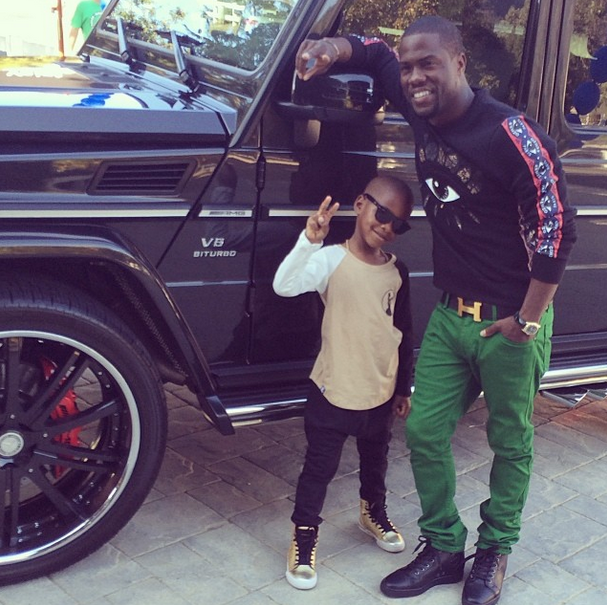 Comedian and actor Kevin Hart Instagram’d a couple of pictures from his son’s birthday party. He styled in a $298 Kenzo Eye Print Sweater paired with green jeans. His outfit was accessorized with a gold buckle ‘H‘ Hermes belt and Christian Louboutin sneakers. 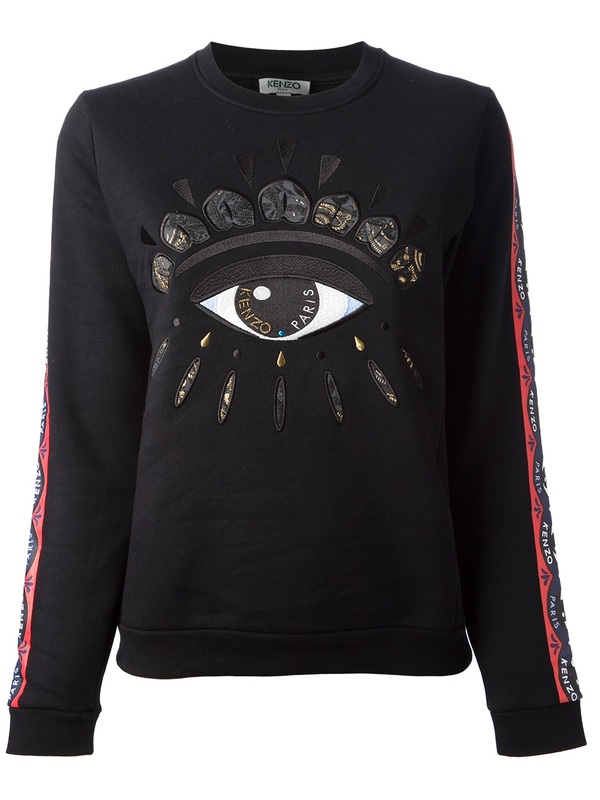 This Kenzo sweater features a crew neck, long sleeves, finished cuffs, finished hem, contrast eye motif and a contrast eye and logo trim to the sleeves. You can purchase it at Farfetch. Are you feeling Kevin’s colorful outfit? 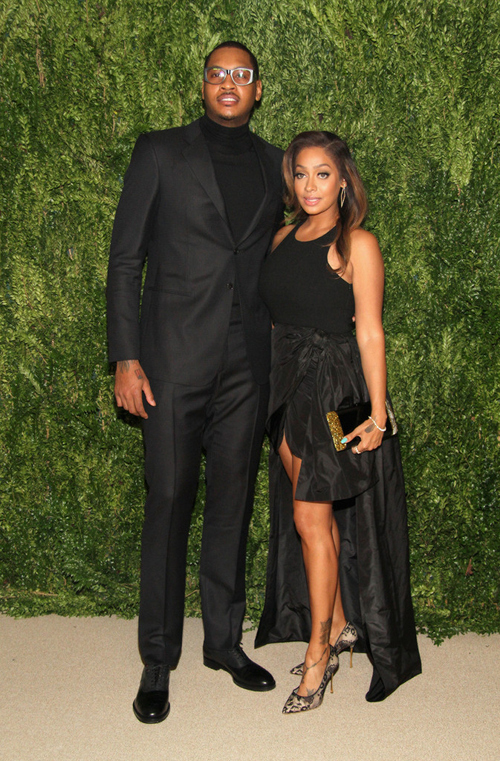 Media personality turned actress and entertainment mogul Lala and her NBA player husband Carmelo Anthony of the New York Knicks also attended last night’s 10th annual CFDA/Vogue Fashion Fund Dinner which was held at Manhattan’s Spring Studios. The CFDA/Vogue Fashion Fund raises money to fund significant awards to designers and provides mentoring. For the occasion, Lala looked gorgeous in a Michael Kors gown and Nicholas Kirkwood Lace Pumps; while Melo looked dapper in an Armani suit. Lala posed with her BFF Ciara, Balmain’s Creative Director, Olivier Rousteing and jewelry designer Jennifer Fisher. 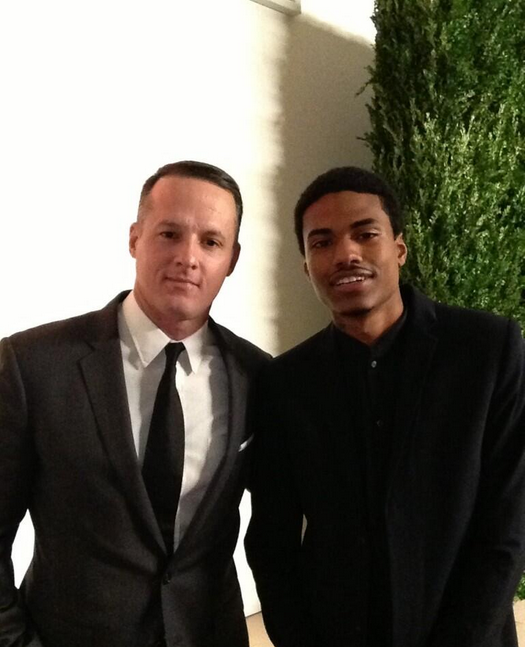 Rising Harlem rapper and IMG Models client Dominic Lord hit up the 10th annual CFDA/Vogue Fashion Fund Dinner at Manhattan’s Spring Studios. For the upscale fashion event, Dom styled in an all-black ensemble. 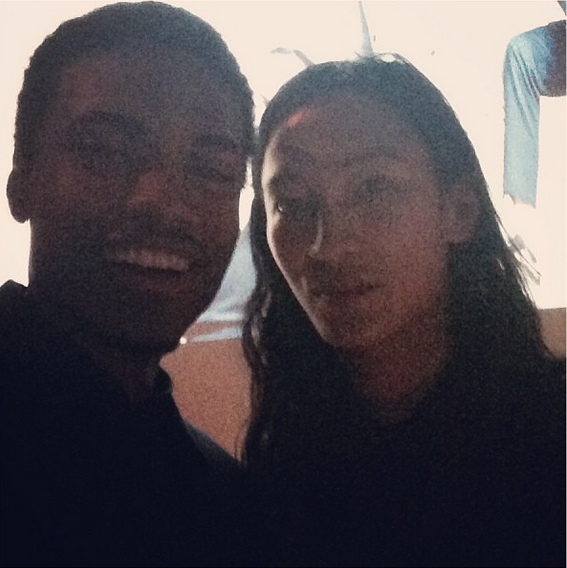 He was photo’d with Alejandro Ingelmo and Alexander Wang. I admire Dom’s style. He’s very fashionable. Just like Diggy Simmons, I think Dom can make more money on his brand extension than music. 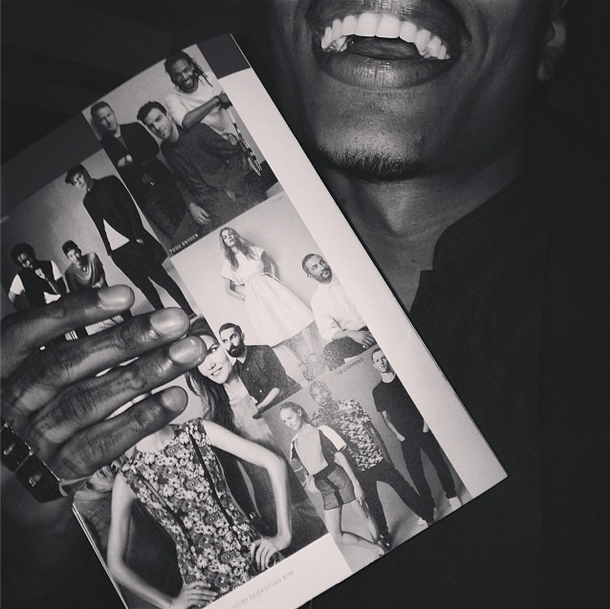 He is snatching the cover of magazines left-to-right. Dom was featured in the November issue of Vogue with designer Tim Coppens, a finalist in the 2013 CFDA/Vogue Fashion Fund. Last night Monday (November 11), the 10th annual CFDA/Vogue Fashion Fund Dinner was held at Manhattan’s Spring Studios. The CFDA/Vogue Fashion Fund raises money to fund significant awards to designers and provides mentoring. 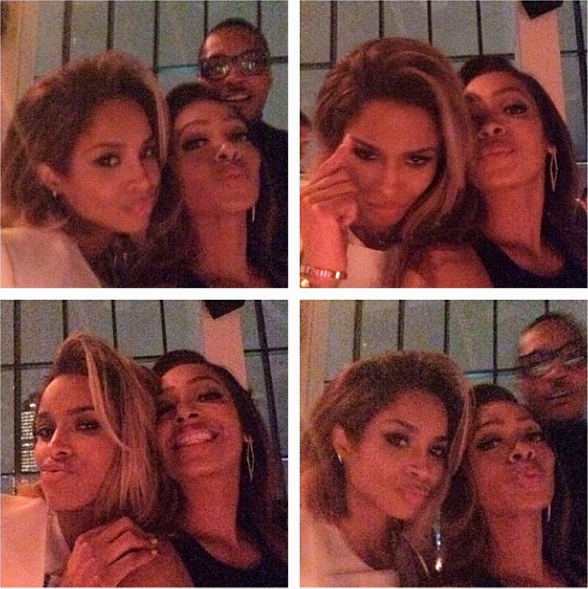 Newly engaged singer and model Ciara was in attendance. For the event, Cici looked fabulous in a white Calvin Klein jumpsuit accessorized with gold Jennifer Fisher Jewelry.